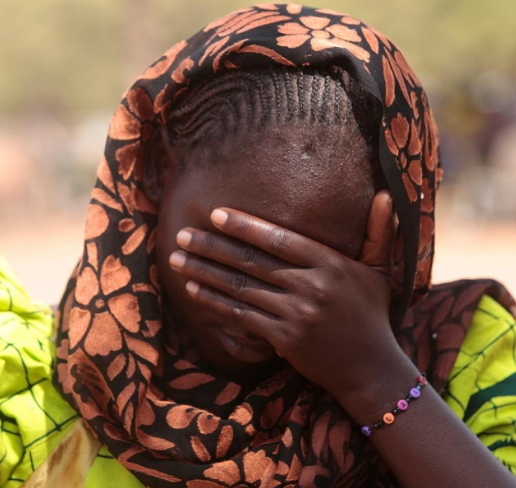 A mother of five on Monday recounted her ordeal in the den of Boko Haram in Sambisa forest. 25-year-old Aisha Bukar said her husband, children and mother in law fed on grass to survive for 3 years. Mrs Bukar said they escaped from the their enclave after a fighter jet bombed Boko Haram hideout in Sambisa forest recently. She disclosed to NAN that she escaped from the camp with her husband, mother in-law and the five children. She said members of her family were incarcerated for about three years by the insurgents in the Sambisa Forest. She recalled that the insurgents abducted them while working in a farm at Talala, a village in Damboa Local Government Area of Borno. Mrs. Bukar added that they had denied them food and drugs, following her husband’s refusal to fight for their group. “We were working in the farm when the insurgents abducted me, my husband, children and mother in-law. They took us deep into Sambisa Forest, where we stayed for about three years. “They asked my husband to take up arms and fight for them, a request he declined; they became infuriated and labeled him as stubborn; to break his will, they denied us food and drugs. see, @25 ys mother of 5 ,in full time poverty. This is a problem in African. Excess child bearing with nothing to feed them.